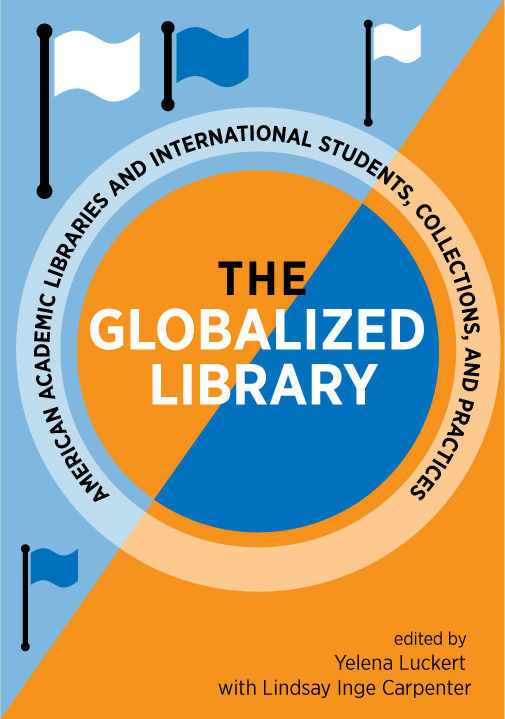 CHICAGO – The Association of College and Research Libraries (ACRL) announces the publication of “The Globalized Library: American Academic Libraries and International Students, Collections, and Practices,” edited by Yelena Luckert with Lindsay Inge Carpenter. This thorough book features practitioners from across North American detailing new approaches, technologies, and pedagogies for welcoming and educating diverse student bodies and supporting faculty research and teaching worldwide. In five sections—Information Literacy; Outreach & Inclusion; Collections & Digital Humanities; Establishing Libraries & Services Abroad; and Career & Professional Development—"The Globalized Library" details how academic librarian work has become globalized and demonstrating new ways to address language and cultural differences, the international purchase and processing of materials, professional development and growth of librarians, and information literacy needs of students from all over the world. It explores ways to provide support to students studying abroad, create online teaching tools, establish American-style libraries at satellite campuses, and leverage campus partnerships to create specifically designed programs and learning opportunities for international students, making a huge difference in the success and retention of a diverse student body. Academic institutions have an obligation to help all students succeed academically and become information-literate citizens of the world. The needs and stresses of globalization on American campuses will only continue to grow following the trends of American society. "The Globalized Library" provides new and innovative ideas to those who are embarking on some of these services and hopes to begin a broader national conversation on this work among library professionals. “The Globalized Library: American Academic Libraries and International Students, Collections, and Practices” is available for purchase in print and as an ebook through the ALA Online Store; in print through Amazon.com; and by telephone order at (866) 746-7252 in the U.S. or (770) 442-8633 for international customers.